On the 16th (Sat), spend a thrilling day on the water with a speed boat tour. Spend the 17th (Sun) among aquatic life with a scuba or snorkeling tour. Next up on the itinerary: take a memorable tour with Tours, stroll through Airlie Beach Lagoon, and explore the activities along Heart Reef. For maps, reviews, photos, and more tourist information, use the Airlie Beach itinerary site . London, UK to Airlie Beach is an approximately 30-hour combination of flight and bus. You can also do a combination of flight and ferry; or do a combination of flight and car. The time zone changes from Greenwich Mean Time to Australian Eastern Standard Time (Queensland), which is usually a 10 hour difference. Expect warmer temperatures when traveling from London in March; daily highs in Airlie Beach reach 33°C and lows reach 28°C. Finish up your sightseeing early on the 18th (Mon) so you can travel to Brisbane. You'll find plenty of places to visit near Brisbane: Warner Bros. Movie World (in Oxenford), Sea World Theme Park (in Main Beach) and Surfers Paradise (SkyPoint Observation Deck, Infinity Attraction, & more). There's lots more to do: let little ones run wild at South Bank Parklands, laugh and play at Wheel of Brisbane, contemplate the waterfront views at The Brisbane River, and take in nature's colorful creations at City Botanic Gardens. 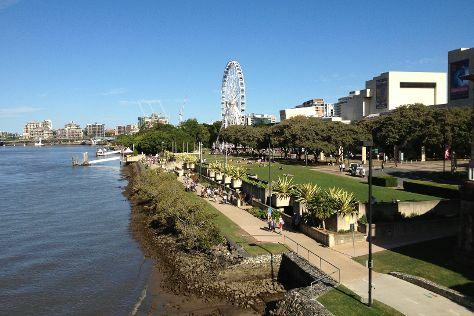 To find where to stay, ratings, reviews, and more tourist information, you can read our Brisbane route planner . You can do a combination of bus and flight from Airlie Beach to Brisbane in 5 hours. Other options are to do a combination of ferry and flight; or drive. Expect a bit cooler evenings in Brisbane when traveling from Airlie Beach in March, with lows around 23°C. Wrap up your sightseeing on the 24th (Sun) to allow time to travel to Sydney. Sydney is known for nightlife, trails, beaches, parks, and museums. 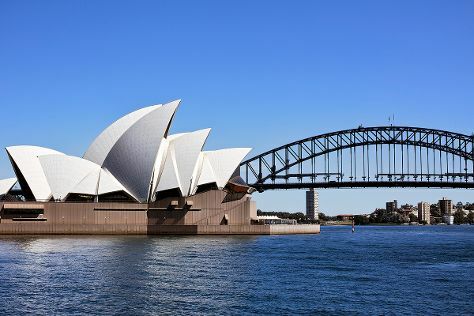 Your plan includes some of its best attractions: take in nature's colorful creations at Royal Botanic Garden Sydney, trek along The Opera House to the Botanic Gardens Walk, see the interesting displays at Australian National Maritime Museum, and take in the views from Sydney Harbour Bridge. To find where to stay, other places to visit, photos, and tourist information, use the Sydney vacation planning tool . Traveling by flight from Brisbane to Sydney takes 4 hours. Alternatively, you can do a combination of bus and flight; or drive. Expect a daytime high around 30°C in March, and nighttime lows around 22°C. Wrap up your sightseeing on the 29th (Fri) early enough to travel back home.